Vacuuming might be the one chore everyone over the age of 7 hates with a passion. Running that loud, noisy piece of equipment over the carpet seems to take forever. The cord gets all knotted up and wrapped around the furniture. 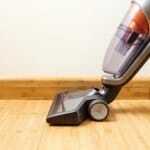 There are invariably bits of dirt or some other debris that don’t get picked up by the vacuum. Why even bother with all of this hassle? Vacuuming on a regular basis might be something that is time consuming and cumbersome at times, but it also provides the home with certain benefits that cannot be obtained otherwise. The next time you’re vacuuming and you’d rather be doing anything else, keep these positive attributes of the chore in mind. #1. It improves the hygienic atmosphere of the home. The dirt, dust, and debris that gets tracked into the carpet doesn’t just stay there. When people walk over a dirty carpet, there are dust particles that are released into the air. There may be pollens, pet dander, and other allergens in there as well. This is stuff that can all enter the lungs. It can also enter the venting system of the home. Take a look at your vents. If they are dirty, then your carpet is dirty – even if you’re regularly vacuuming. #2. It extends the life of the carpet. It generally takes several thousand dollars to install a high quality carpet in a home. When debris settles into the carpet, it begins to grind into the fabrics and materials with every footstep it encounters. Eventually this will grind out a wear pattern in the carpet and require it to be patched. Once a wear pattern occurs, the carpet pad may also be damaged and this can even put the rest of your floor at risk for damage. #3. It improves the odor of the home. 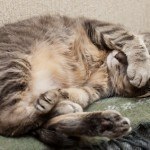 If there are pets in the home, then their fur will invariably get stuck into the carpet fibers. Over time, this fur works its way down to the base of the carpet itself like a little “carpet blanket.” This creates a musty odor that never seems to go away, no matter how many different powders or boxes of baking soda get applied to it. If an animal sheds frequently, then vacuuming the carpet frequently can keep a home from smelling like a boarding kennel. #4. It maintains the color of the carpet. Many carpets today are treated with substances that help them to retain their color should a stain occur. If the substance that causes the stain is not completely removed, then the loose dirt and debris will stick to the staining substances and create small, dirty patches that never seem to come quite clean. Regular vacuuming lessens the risk of this occurring and even if it does, the carpet is still a lot easier to get clean once again. #5. It preserves the value of the home. One of the key valuation points of a home is the condition of its floor. The structure of the floor helps to provide a home with a firm foundation and if the carpet is dirty, ragged, and torn, then the flooring underneath it will likely be as well. Home equity is extremely important as an asset. 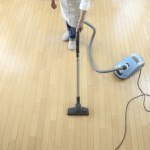 Every time vacuuming occurs, the equity in a home is being preserved. If the home is a rental, then look at it this way: you’re earning your full security deposit back when it is time to move. #6. It limits pest infestations. When insects and spiders come into the home, where do they crawl? The walls, the ceiling… and the floor. Some carpets are long enough that they can actually hide the presence of some smaller pests. By vacuuming on a regular basis, these pests and their eggs or offspring can be removed from the carpet. For pet owners, this is an effective method of controlling a flea infestation. 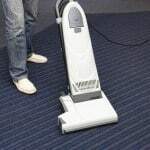 Spiders and other insects will flee the carpet for the walls, which means you can use a vacuum attachment to snag them. Just remember to keep your hands clear of the debris while disposing of it if the vacuum is bagless. #7. It stops damage to your furniture. Dirt and debris doesn’t just ruin your carpet. It can also ruin your furniture. This is especially true for upholstered items. The clouds of dust and dirt that come up with every step must settle somewhere. If it isn’t in a person’s lungs, it could be in the sofa or chair that gets used on a regular basis. 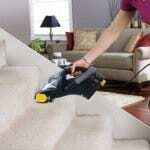 Over time, this damages the furniture because the abrasive dirt wears down the upholstery just as it does the carpet. This damage can be limited by vacuuming upholstered furniture at least 1x per week. #8. It keeps the paint looking fresh. This may be the most overlooked benefit of regular vacuuming. Dirt streaks on light colored paint begin to appear over time based on the cleanliness of the carpet. It can be from the ceiling down, from the floor up, or both. In a home that has a carpet which receives poor care, the white painted walls can look like they’ve obtained dirt stalactites and stalagmites. This dirt settles into the paint over time and can’t be removed by a cleanser or a disinfectant, requiring the wall to be repainted. Wallpaper is affected by this same issue. The difference is that wallpaper has to be replaced to preserve the value of the wall. Darker wallpaper can hide the dirt more effectively, but it will still be there with improper carpet care. Why even vacuum at all? The benefits of regularly completing this chore are clear. From healthier lungs to a healthier carpet, a few minutes every week with a properly functioning vacuum cleaner can make life a lot more easier while maintaining the value of the home. Keep these tips in mind the next time you vacuum and the chore may not seem as terrible any more.